Over the past several years our community has faced some of the most difficult economic hardships of our time. 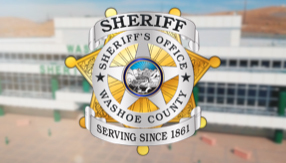 During that time, the Washoe County Sheriff’s Office has reduced its budget by over $21 million even as the citizens of Washoe County continually rate public safety as their top priority. In facing the impacts of these reductions and the challenges they evoke, the men and women of this Office have made every possible effort to maintain the safety of the public and preserve the quality of life in our community. To give you a better idea of what we were able to achieve in the last year, we are posting the following documents which highlight Sheriff’s Office accomplishments during 2012. The first document summarizes those accomplishments and the second provides greater detail. Although these are not all our accomplishments, they are good examples of the many ways in which Sheriff’s Office staff have dedicated themselves to preserving public safety in Washoe County during a very challenging year. As we face the challenges of the coming year, the Sheriff’s Office remains committed to doing all we can, in partnership with our community, to fulfill our mission of providing a safe and secure community using the highest quality law enforcement, detention, and support services possible within the resources entrusted to us.